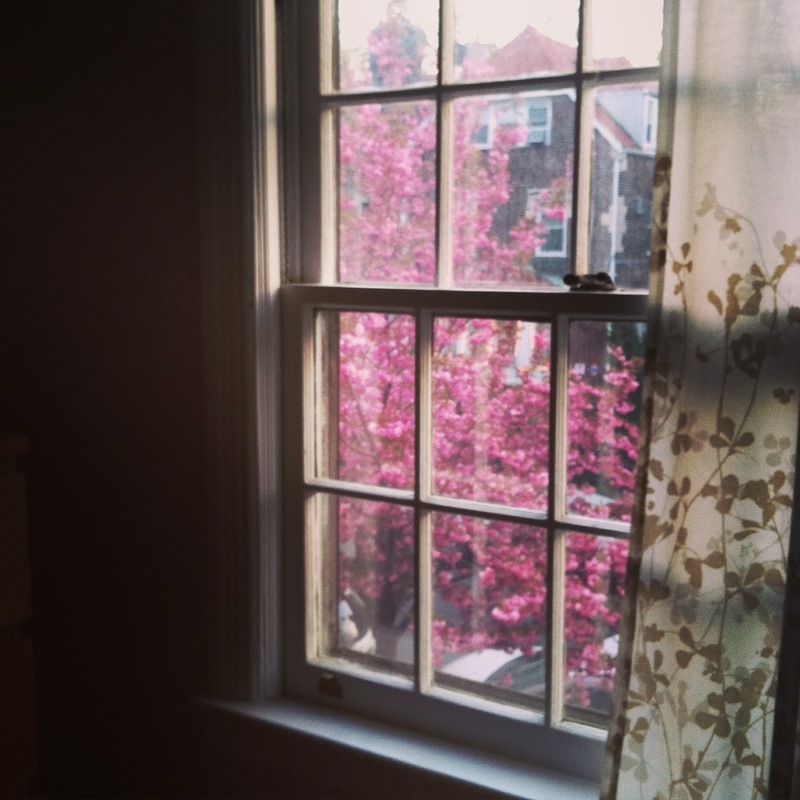 trees blooming out our window and tourists stop to take pix of it! 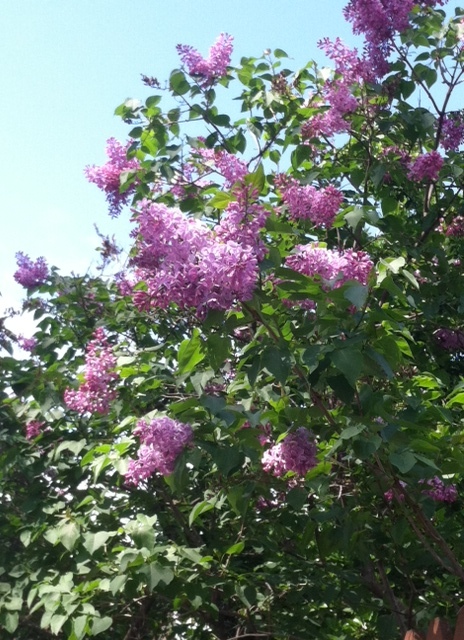 lilacs! 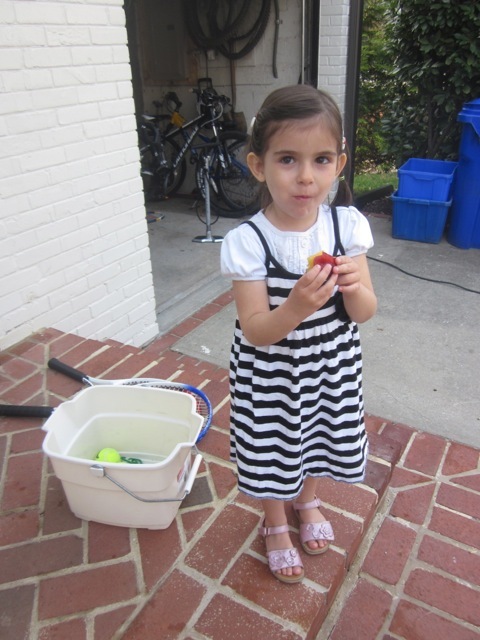 my fave! 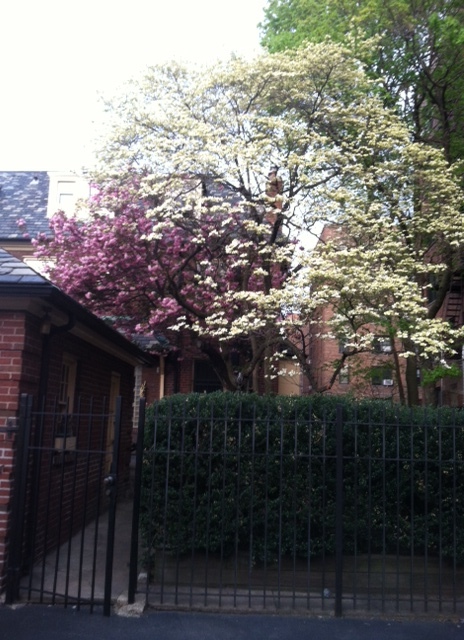 the whole alley smells of this.. 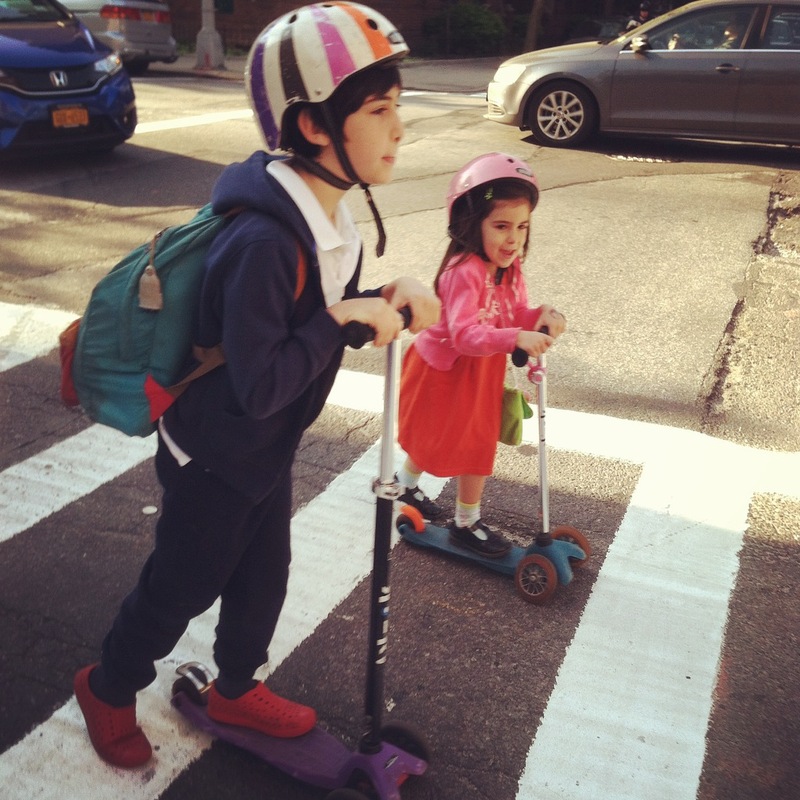 I love our morning commute to school… no more snow! 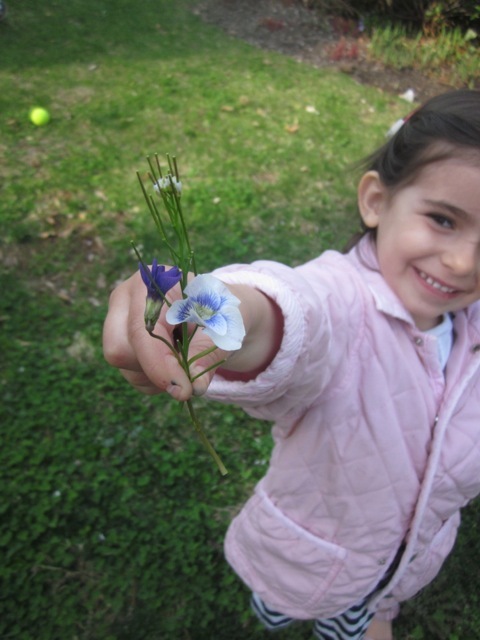 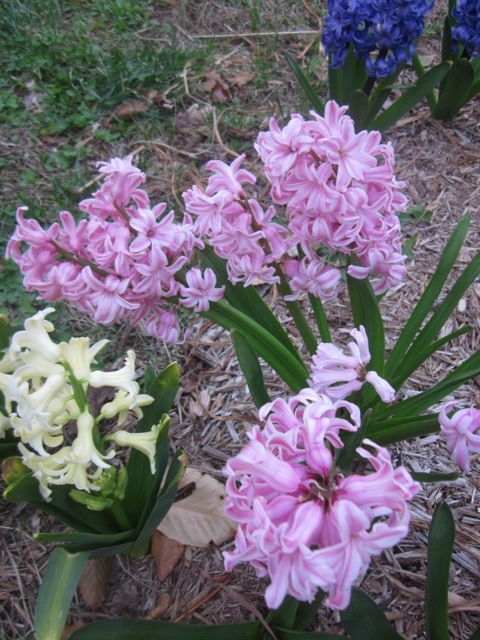 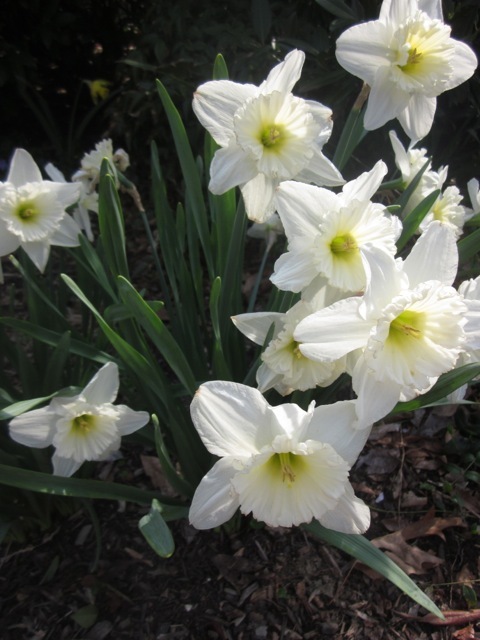 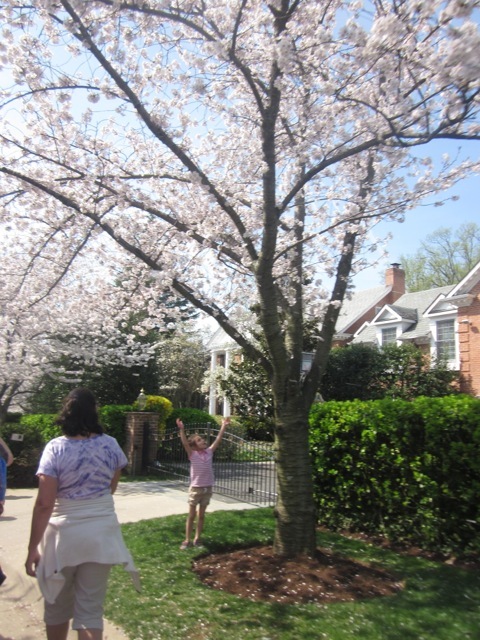 Just back from spending the first night of Passover with cousins in the DC area – where everything is blooming a little faster. 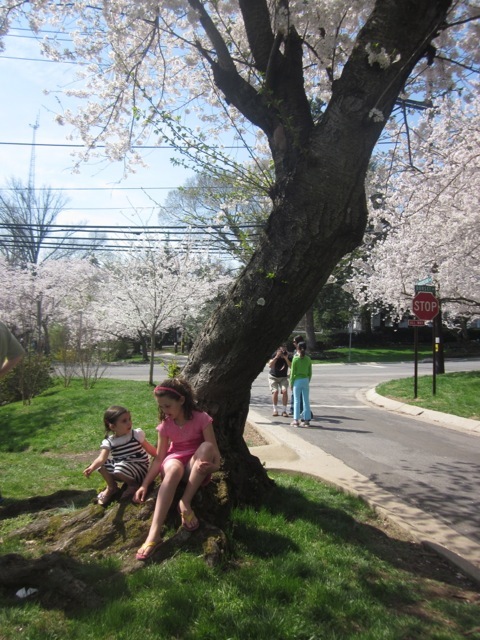 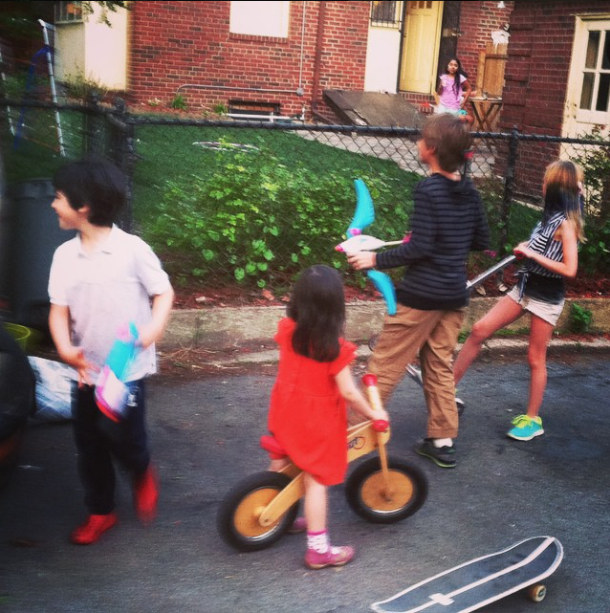 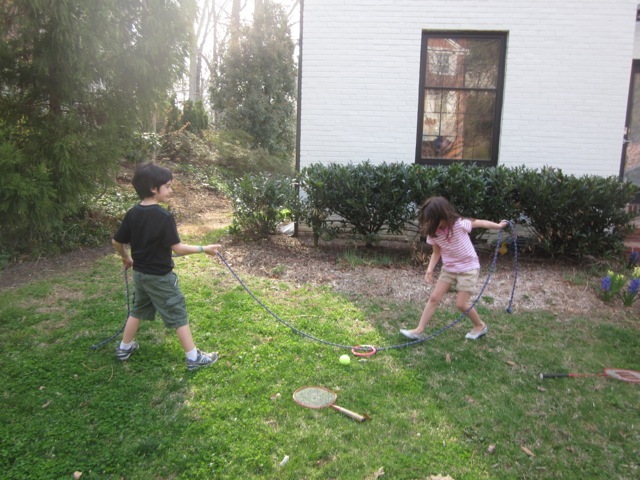 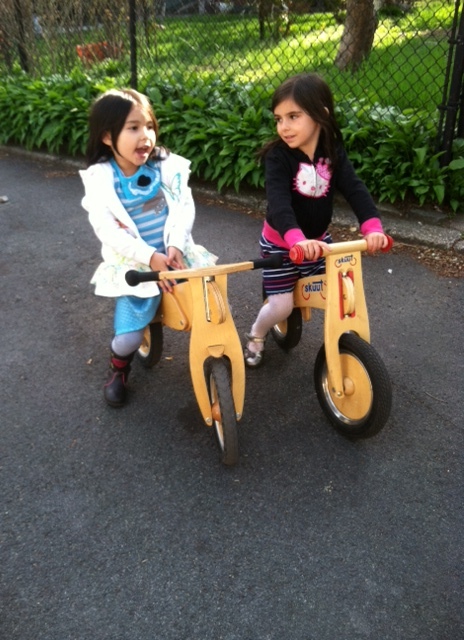 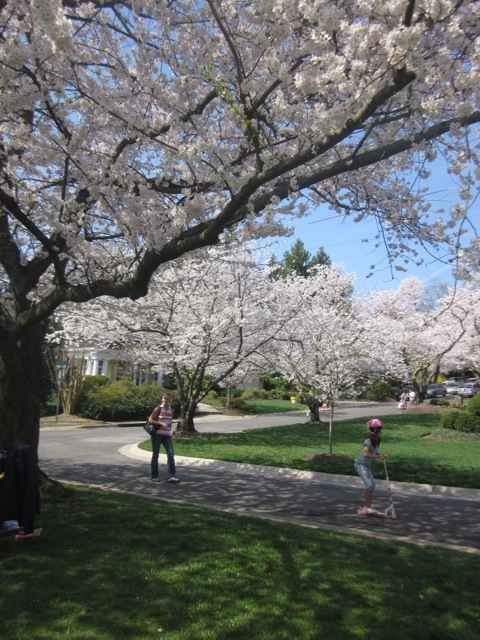 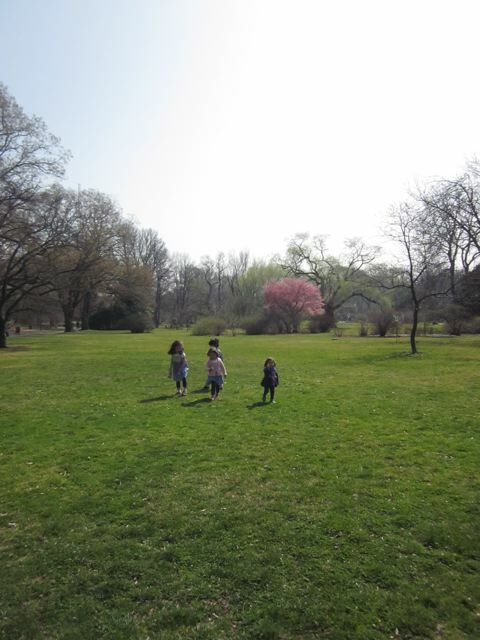 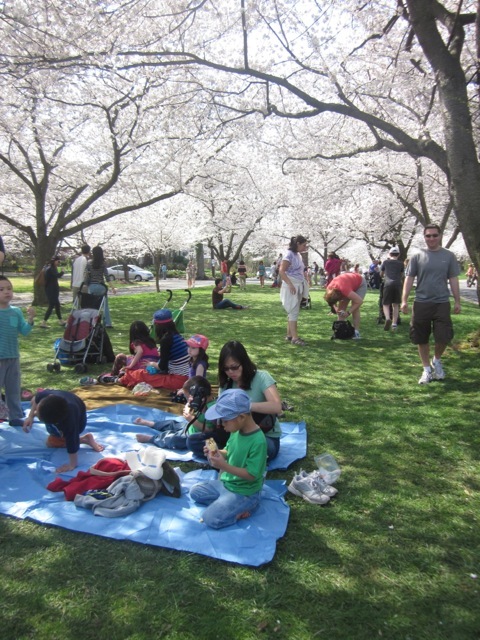 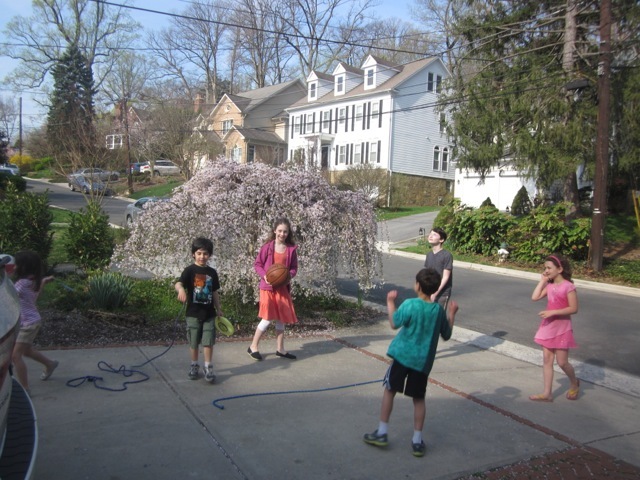 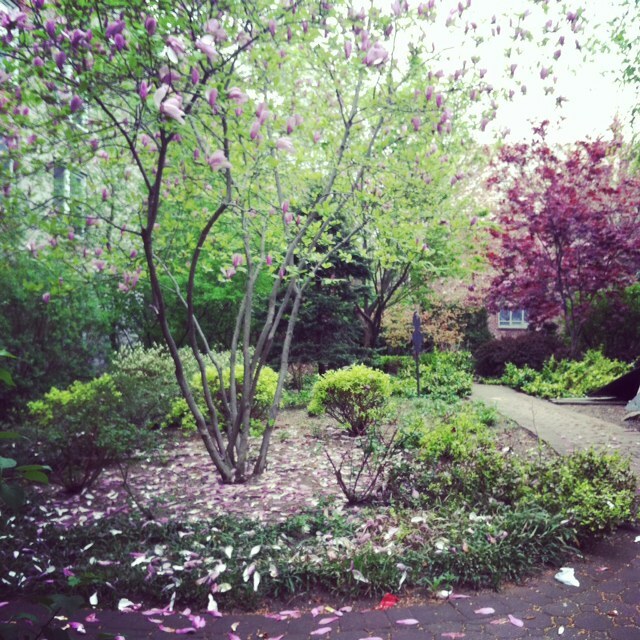 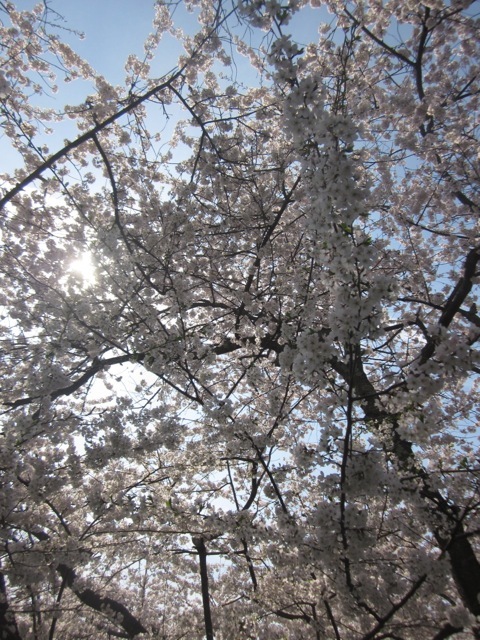 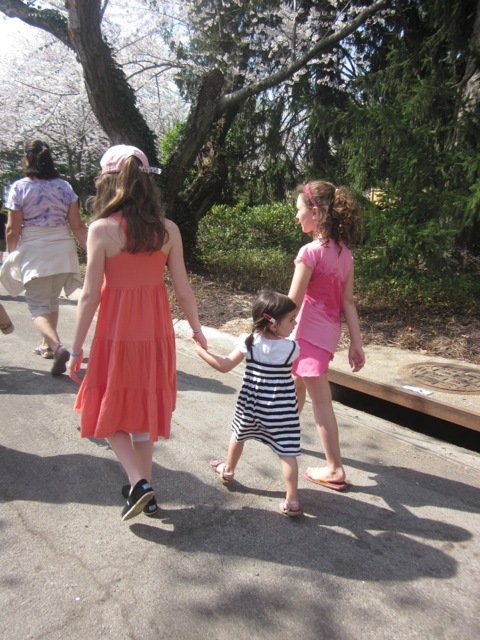 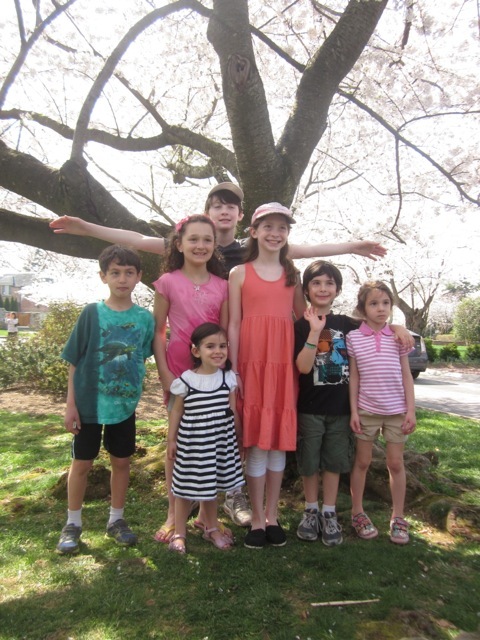 Cousins romped in the driveway, and we checked out the cherry trees blossoming in Chevy Chase. 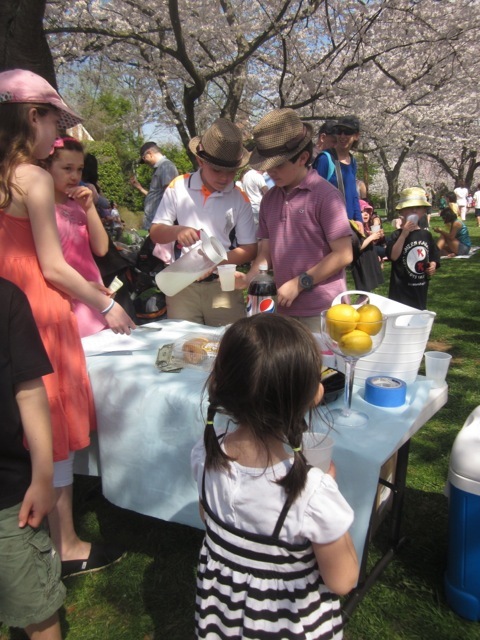 Some clever little boys even set up a lemonade stand and reaped the benefits of a lot of foot traffic. 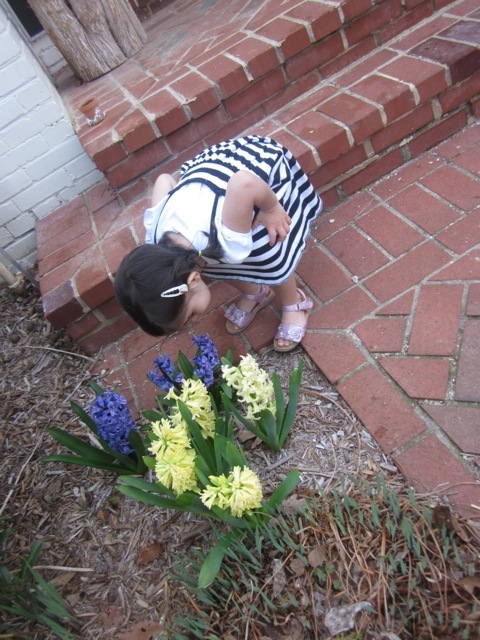 Ezra is already excited to do this again in the next few months. 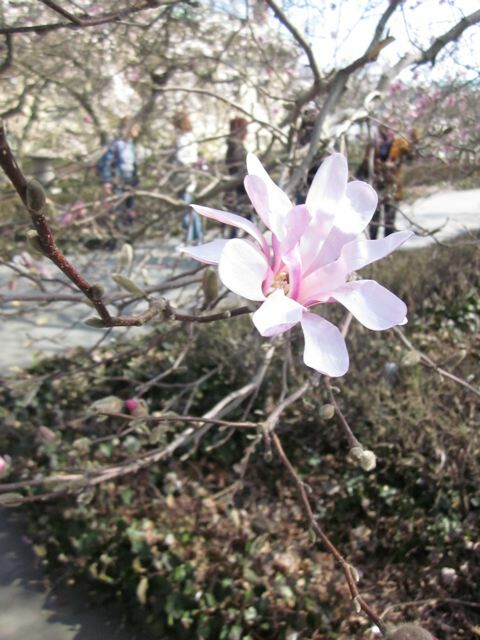 It certainly seems like spring is already here. 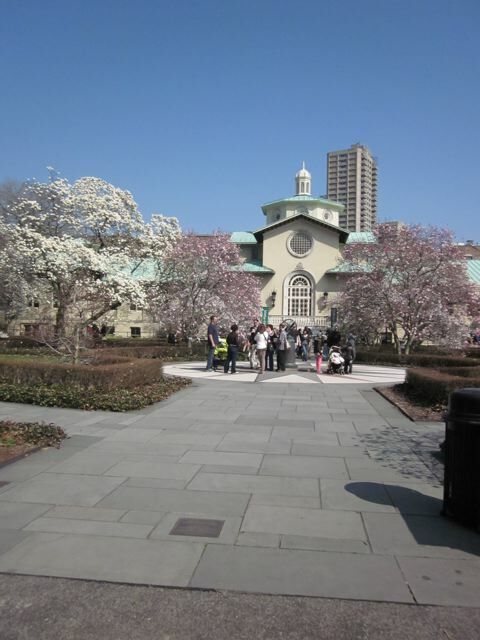 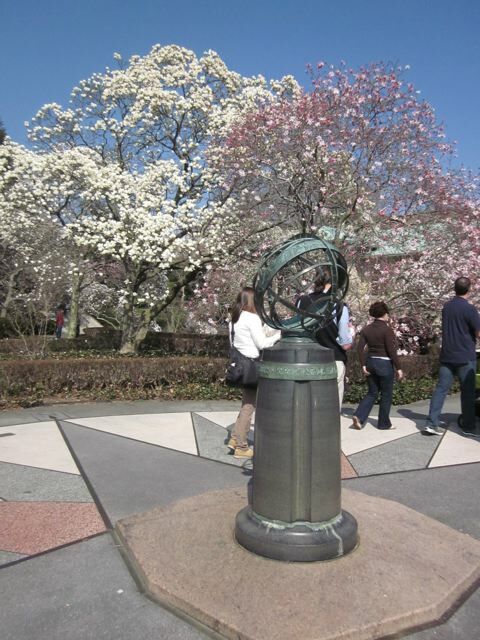 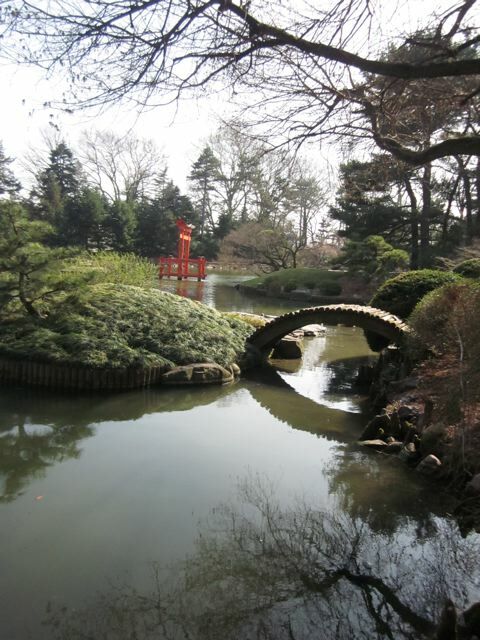 Even though not all of the cherry blossoms were out, enough were blooming at the Brooklyn Botanical Garden to make it worth the trip. 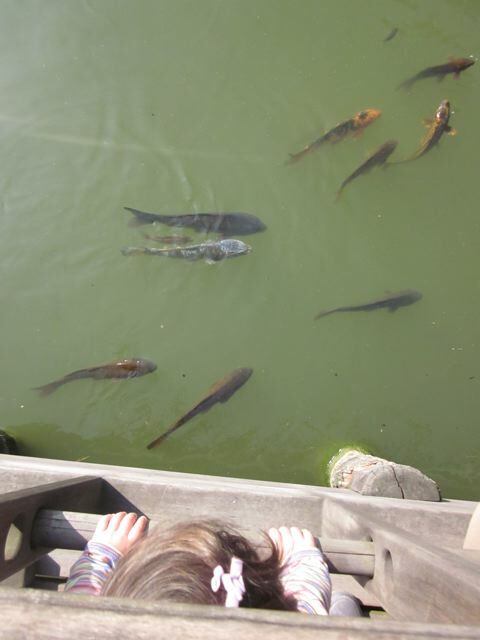 We love their Japanese Garden where the kids can check out the fish – and getting to romp in the grass under the warm sun is always a treat. 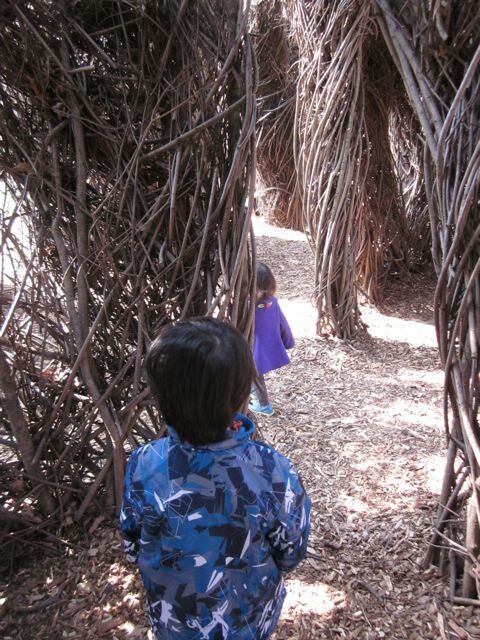 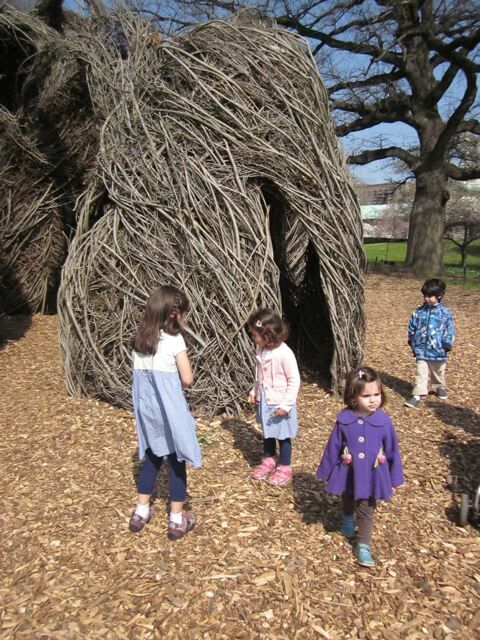 The Patrick Dougherty installation was beautiful as well. 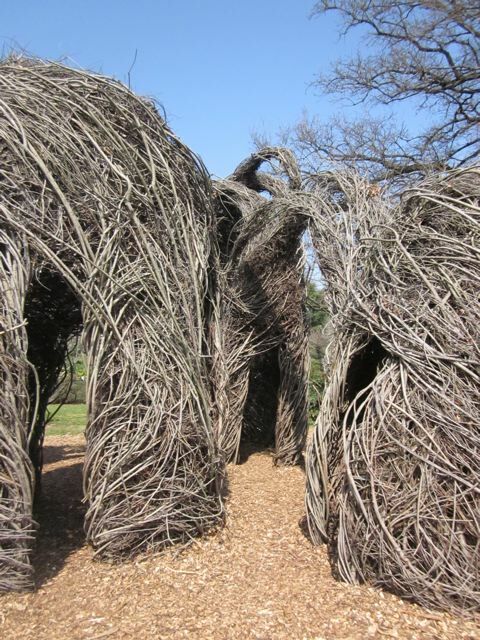 It made me wish we could build one of these structures in our garden for the kids to play in all the time.